Over 100 years old, the Seychelles National Botanical Gardens have always managed to be one of the best parts about visiting the main island of Mahe. Lying just outside the capital, Victoria, in Mt. Fleuri, the Botanical Gardens have held the interest of every nature lover who visits Seychelles. The site is spread across 15 whole acres and is now deemed to be a national, as well as a green heritage. During the visit to the gardens, individuals are expected to witness diverse flora and fauna that are cared for impeccably and have been nurtured right from the beginning. As a visitor, there are many sites to see in the Botanical Gardens that may leave you in awe of the place. 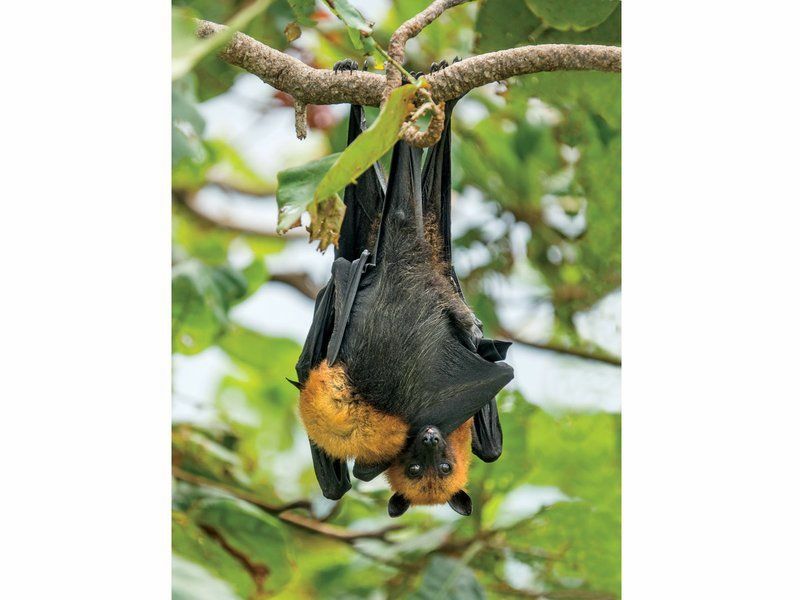 One such site is the mystical bat colonies spread around the gardens that are often the reason for the fascinated stares of the visitors. Another famous spot is the Thai and the Chinese Garden with its intricate architecture and design, as well as the flora found in the gardens that are a nod to the respective cultures of the gardens. The Biodiversity Centre is also enclosed in the Botanical Garden's space and is a place where the curious can learn more about the most astounding details and discoveries. When it comes to the plant life or flora, the Seychelles National Botanical Gardens have a lot to display. With the famous Coco De Mer Trees lining the entrance of the gardens, one can obviously expect much more, and the gardens do not disappoint. The Coco De Mer Trees are the proud owners of the world's largest seeds, and though they are endemic to Seychelles, the Duke of Edinburgh was the one who had planted these trees in 1956 in the Botanical Gardens and gave rise to what is today called the Coco De Mer Alley. Aside from the Coco De Mer, another plant species that is extremely treasured and unique in the Botanical Gardens is the Cannonball Tree. This tree is unique in the sense that though it has some of the most beautiful flowers, it gives out a pungent odor and when the fruits drop to the ground they make a loud noise which is similar to that of a cannonball. 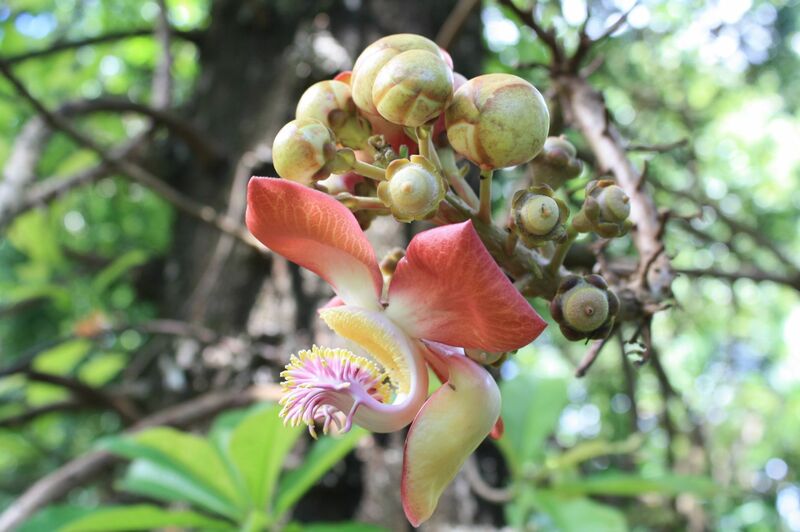 Amongst the Cannonball Trees, one may also find fruit trees such as the infamous unpleasant smelling Durian, Vanilla, Clove, Nutmeg, Guava, Lychee, Starfruit and many more. Flowers that are commonly found in the Botanical Gardens are Heliconias, Rose, Frangipani, Ylang- Ylang and Hibiscus. The fauna in the National Botanical Gardens is a representation of what you are to find in many of the islands of Seychelles itself. 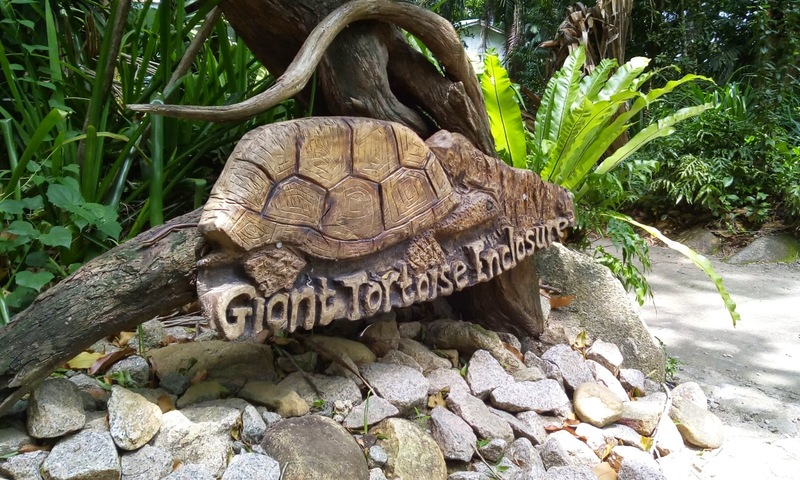 The most famous of these animals is the Giant Aldabra Tortoise which is an ever-present animal on the island. Other turtles found in these gardens are part of the Terrapins Pond Enclosure, where the meek brown color makes them blend in with the surrounding stones. Also, some of the birds found here range from the Blue Pigeon or the Sunbird to the Seychelles Bulbul and many more.